In the past month, we introduced a total of 10 different websites where you could easily learn coding from. You can check out the beginner version here and the intermediate version here. However, we have noticed an incredible number of increase in mobile users in the Kingdom, from 2.4million to 3.4million in under a year! Hence, as we all know how hard it is to set aside an hour or so to go online, open a laptop and learn how to code, we will be introducing these applications that allow you to learn how to code on the go with your mobile phone! Do you think that it is impossible to learn how to code on such a small screen with a limited keyboard? You will surprised how learning the art of coding on your mobile phone could be an easier experience and also save you the time and hassle as compared to a desktop. Designed to be straightforward and relatively simple to navigate, take a look at 5 of the following mobile applications and be prepared to dive straight into the world of coding on the go! 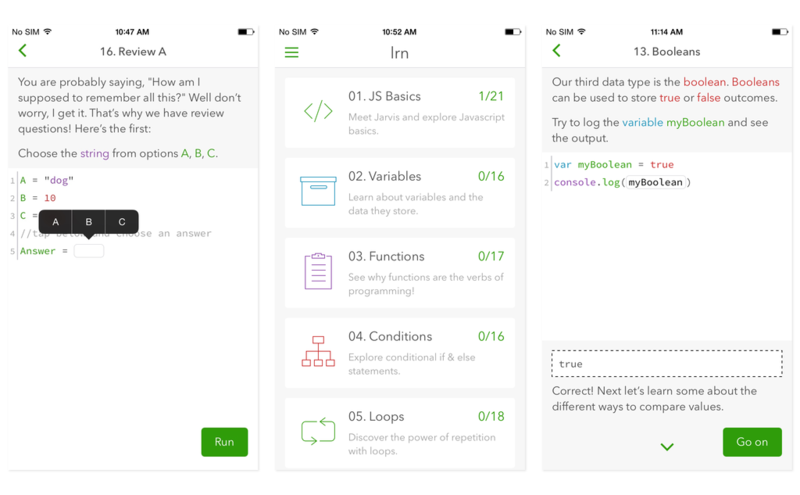 One of the most popular website to learn coding from, ‘Code School’, has released their very own iOS application with a similar name. 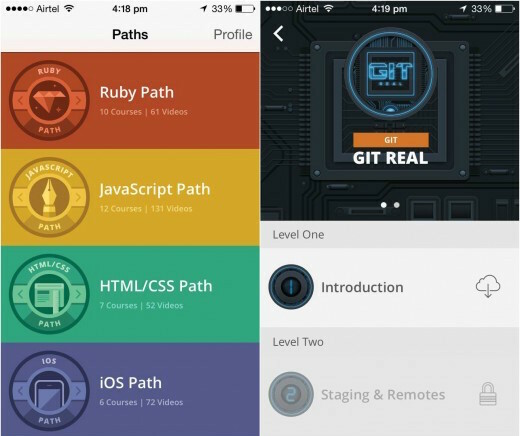 This application has a collection of tutorial videos and gives users a chance to refresh their knowledge and assess their skill level. They also boast an extremely convenient feature which continues your tutorial video from where you stopped previously should you happen to leave the application halfway. Hence, you will not need to worry about where you left off while re-launching your application and you can jump straight back into learning. Though this application is not entirely interactive, it is still perfect for when you have short pockets of free time. This application is only available for iOS users. 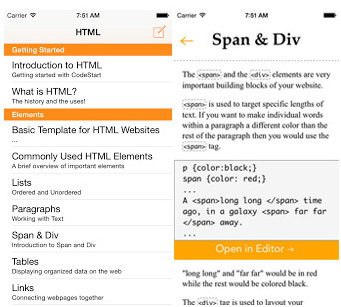 A mobile application that is catered to providing the user with bite-sized tutorials, it is suitable for those who prefer a more academic approach to learning things. With different chapters and headings as well as concise explanations and examples regarding coding concepts, it is ideal for absolute beginners who require a step-by-step walkthrough. Many of you would probably recognise the website ‘Code Academy’ as one of the more prominent websites that teaches the basics of coding. However, unknown to many, they have also come up with their very first iPhone application as part of the ‘Hour of Code campaign’ held annually in 180 countries all over the world. The Kingdom is also one of those countries and you can find out more about what went down at the ‘Hour of Code’ last year in an article we wrote here. Back to the application, the ‘Code Hour App’ mainly impresses for its interesting layout which utilizes a horizontal split screen. Using a more ‘hands-on’ approach, the top half of the screen is where instructions are given and the bottom would be an interactive program code. They also have a feature which reviews your work with you, telling you how well you did in the practice, where you went wrong as well as to provide you with hints on how you could make the code work. A bonus application titled ‘Lightbot’ is also a mobile application by Code Academy but is specifically catered for kids as the app teaches its users the basics and elements of coding via games and puzzles. Requiring the user to use programming logic to solve the games and advance to the next levels, this application has 2 versions, which is suitable for kids aged 4-8 and 9+ respectively. 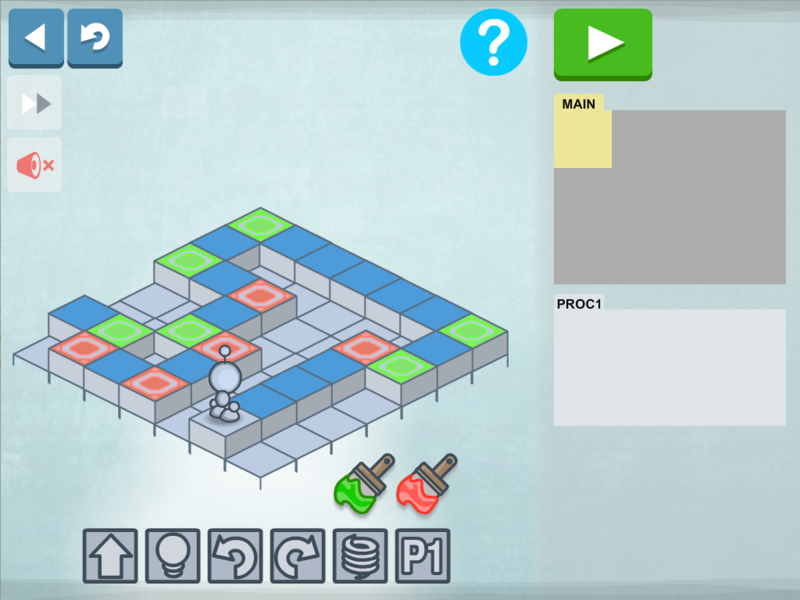 A go-to application for an initial introduction into the world of coding, Lightbot also include various levels and challenge stars as an incentive for the users to progress further. 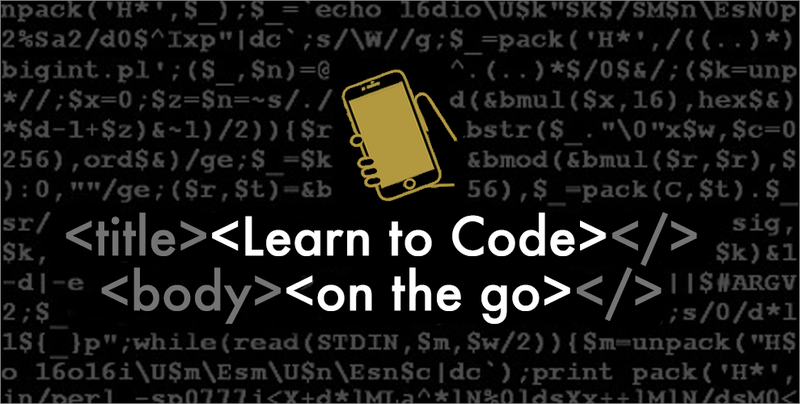 So no matter if you are on the bus or happen to have some free time, simply whisk out your phone and learn a few basics of coding or take a quiz to test your knowledge. By making use of a mobile application, you will be able to conveniently pick up a new skill in your spare time. So why not download one of these applications, take your coding journey one step further and learn how to code on the go!